Any backpacker who has been to Bangkok knows that Khao San Road is the backpacker Mecca of Southeast Asia. When I first arrived in Bangkok in 2005 all I knew was to make my way to this fabled street and I could walk around and find a cheap guesthouse to stay. Khao San Road was a complete backpacker circus by the I had arrived, but it wasn’t always that way. Before Khao San Road there was another street that was the place where backpackers would go. 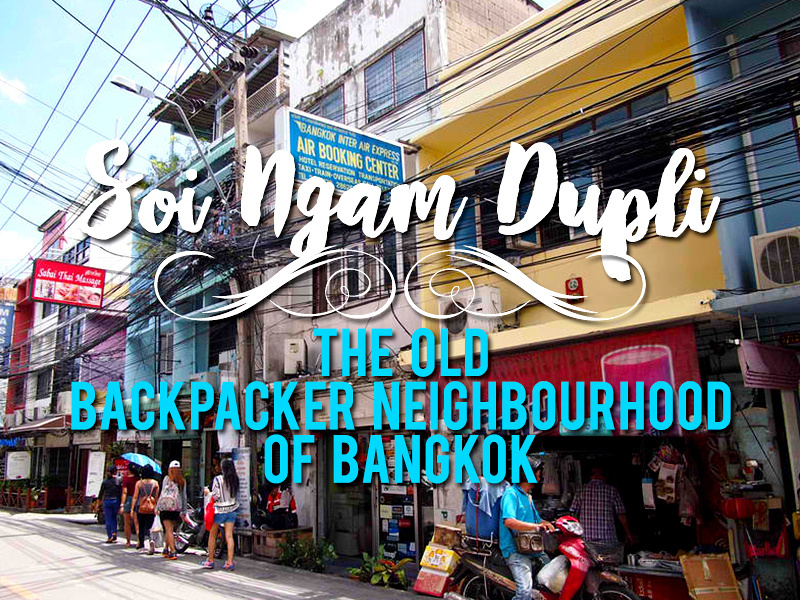 Soi Ngam Dupli was the original budget travellers street, though now it barely gets a look in. I have been visiting Bangkok nearly every year for the last 11 years (I missed 2007), yet I had never heard of this area. It was only by a chance booking on Airbnb that I stumbled into this old neighbourhood. 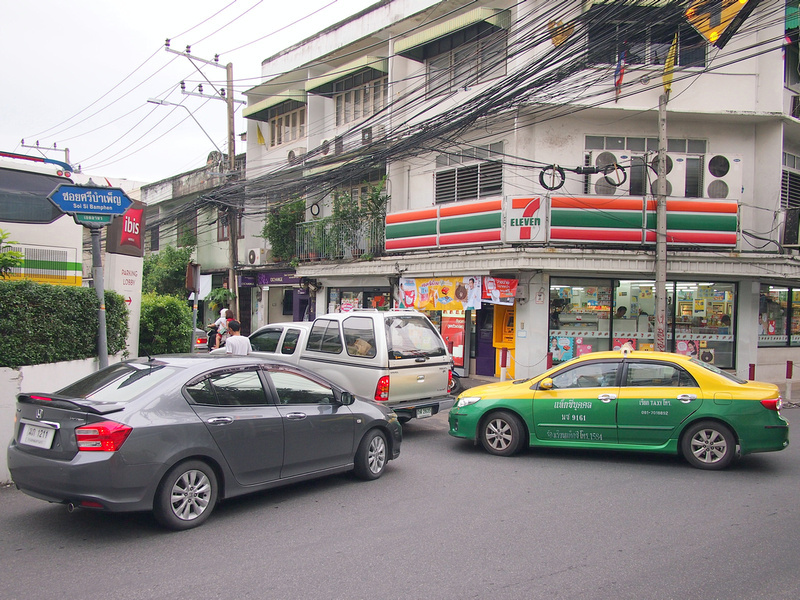 There are two roads that make up the old backpacker area – Soi Ngam Dupli, and Soi Sribamphen, which forms a T-intersection with Soi Ngam Dupli. Most of the action is on Soi Sribamphen, between two 7-11’s at either end. Walking around the streets you get a sense that their used to be more tourist activity. 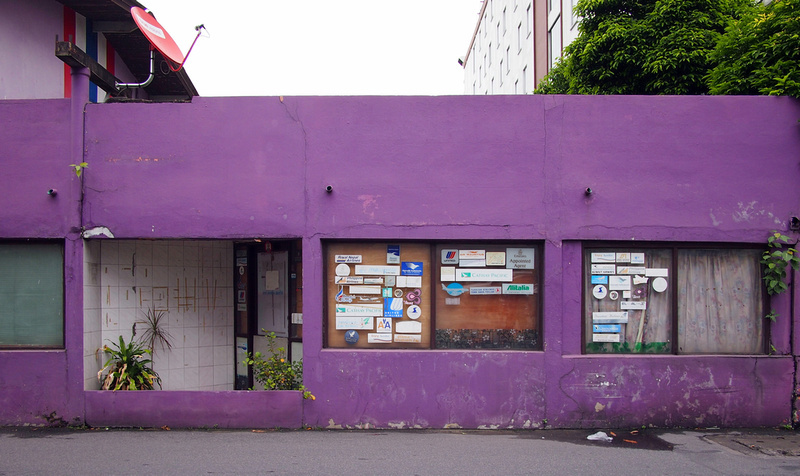 This abandoned travel agency hints that there were once better days. I imagine backpackers coming here – paper airline ticket in hand – wanting to change the date of their flight to extend their stay in paradise. In addition to being a backpacker neighbourhood, at some point this was a popular gay neighbourhood as well. I say was because if it it still is then it’s the least fabulous gay neighbourhood I’ve ever been to. Apart from a few male-only massage parlours there isn’t much here to suggest it still is a gay neighbourhood. Another observation of this area is the abundance of cheap laundry places. These days when I visit Bangkok I usually stay near Sukhumvit Road, but most of the laundries there are now charging per item at stupid tourist prices (for example a dollar per t-shirt). 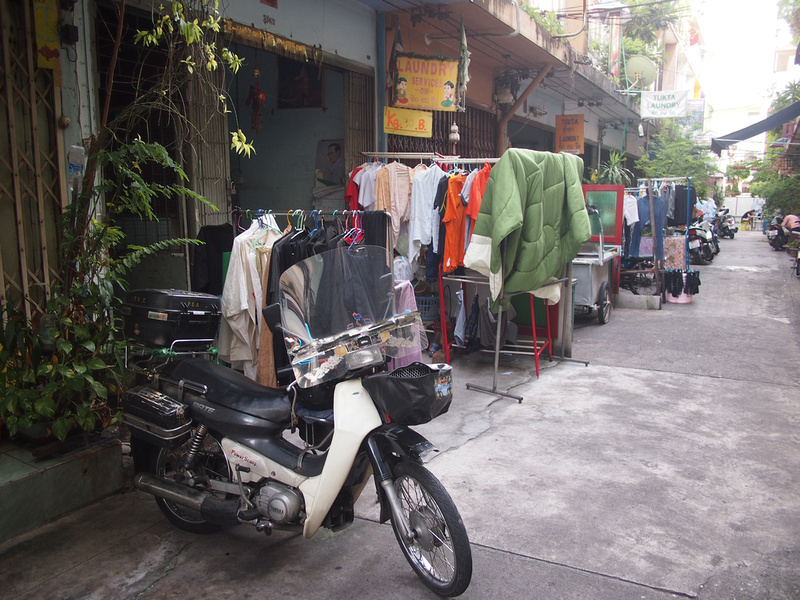 Here I saw several places offering laundry at 30 baht per kilo (85c USD). Soi Si Bamphen is where most of the shops and old guesthouses are. In typical Bangkok-style, there is a serious lack of urban planning. Many of back streets have no footpaths, so you are walking on the road with the cars. 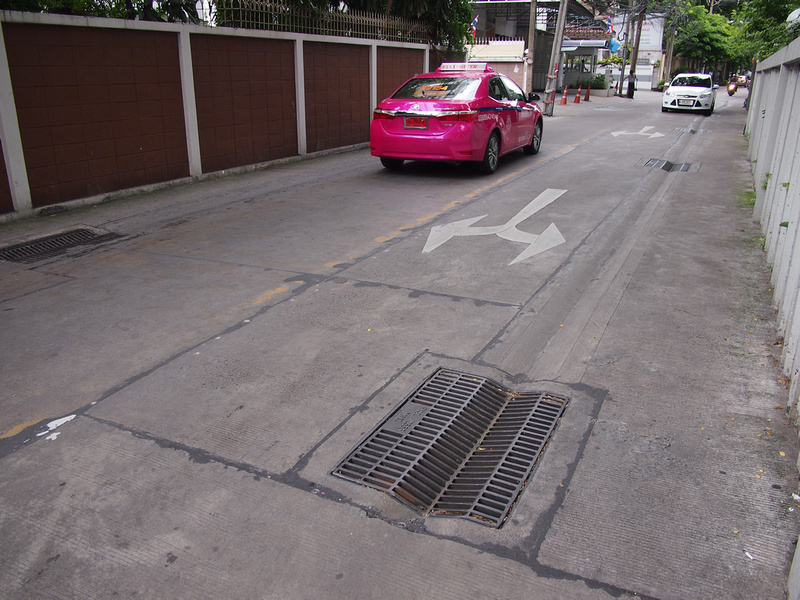 Another Bangkok problem that afflicts the area are the lack of cross-roads, so cars have few options to get out onto the main roads. At peak hours the traffic is often banked up as far as the eye can see. There are a collection of old guesthouses, some hostels, hotels, and serviced apartments. Some of the guesthouses appear to be frozen in time, with no improvements made since the whole scene moved en masse to Khao San Road. Some of the prices are frozen in time as well. The cheapest place I found had a room for $5 a night! There are a few guesthouses here that aren’t online, so turning up the old fashioned way is the way to secure a room. 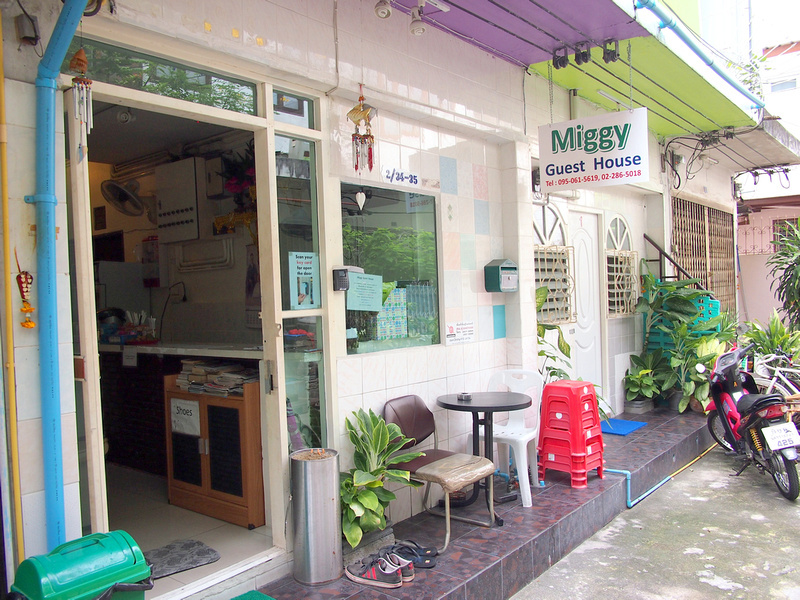 A nice cheapo place I stayed at was at Miggy Guesthouse, and this one you can book line. 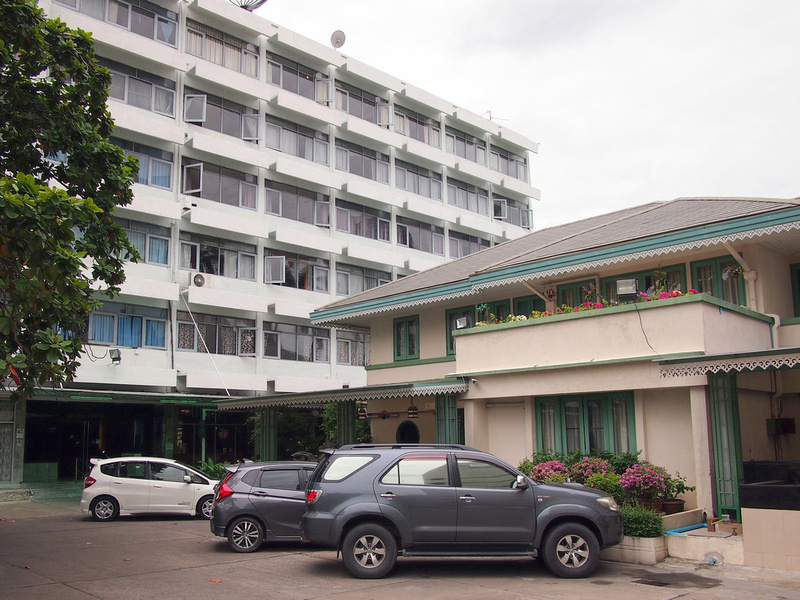 Probably the most well-known place to stay is the Malaysia Hotel. I asked my man in Bangkok about the Malaysia and he said that part of the original Lonely Planet was written here. Lonely Planet founder’s Tony and Maureen Wheeler stayed here and recommended it in their first guidebook, Across Asia on the Cheap. 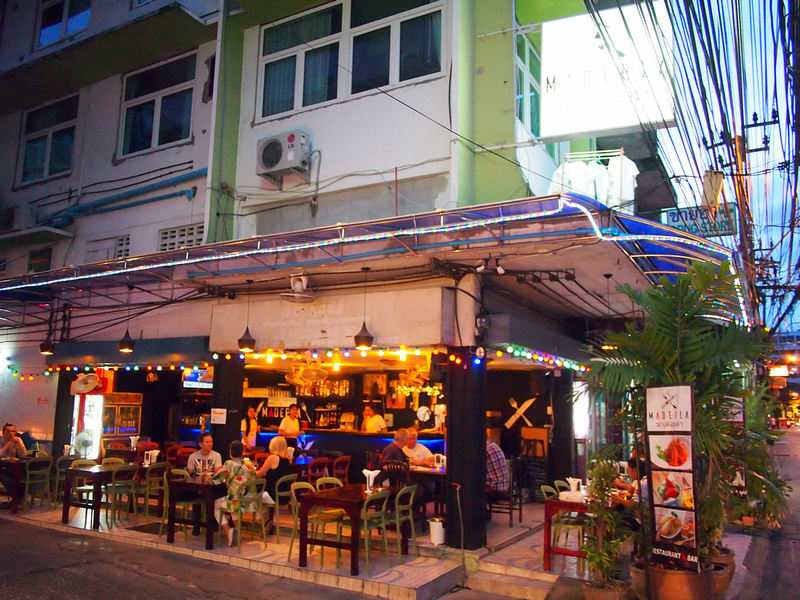 The Wheeler’s would have been influential in turning this area into a backpacker haven with its recommendation in Southeast Asia on a shoestring. And they would have also been instrumental in its demise by listing Khao San Road as the new place to be for budget travellers. The hotel looks like it hasn’t changed since the 60’s. I was curious about its heritage so I stayed here to get the full Soi Ngam Dupli experience. You can book online here. Not far from the Malaysia is the S1 Hostel, which is the closest to anything resembling a backpacker scene. For a modern hotel stay, the Ibis Bangkok Sathorn is on the corner of Soi Ngam Duphli and Soi Sribamphen, opposite the Malaysia. I also stayed at an Airbnb which was a lovely, simple room for $19. If you haven’t used Airbnb before then sign up here and you will get enough credit for a night here. I usually spend my days working in cafes, so I was curious to see what was in the area. Unfortunately there is not much choice in that regard. 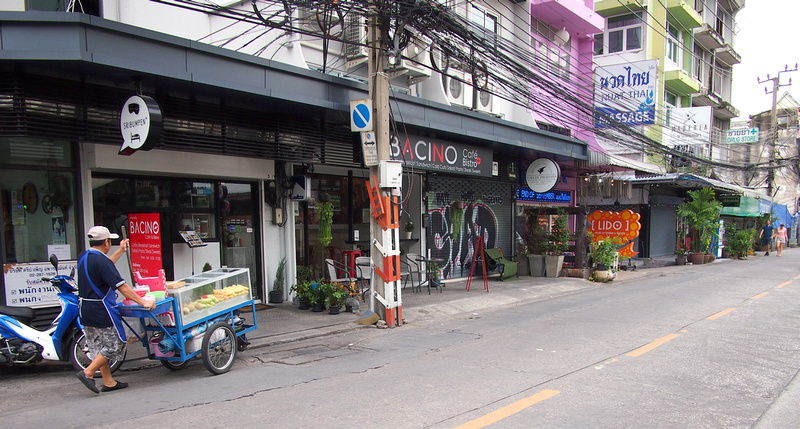 On Soi Sribamphen I liked going to Bacino Cafe. 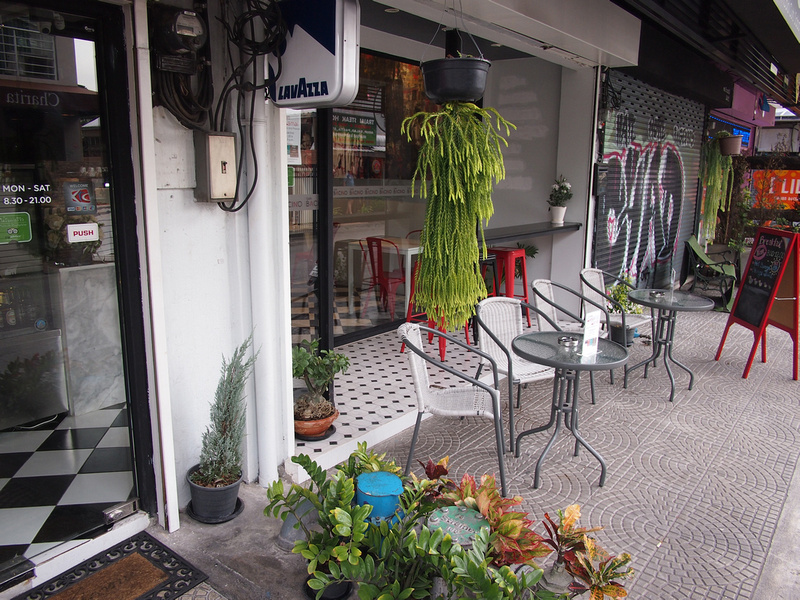 The best coffee in the area is at Lisa Lamo, which is on Rama IV, just before the entry to Soi Ngam Dupli. 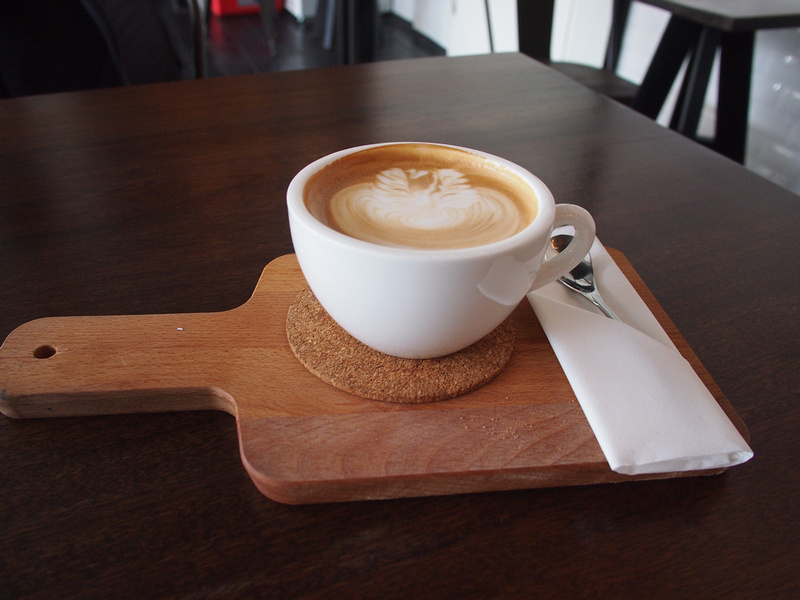 Great coffee here served on a wooden board, hipster-style, and reasonably priced at 65 baht for a latte. I don’t drink but there are two bars here that are so diametrically opposed to each other that it’s worth mentioning. 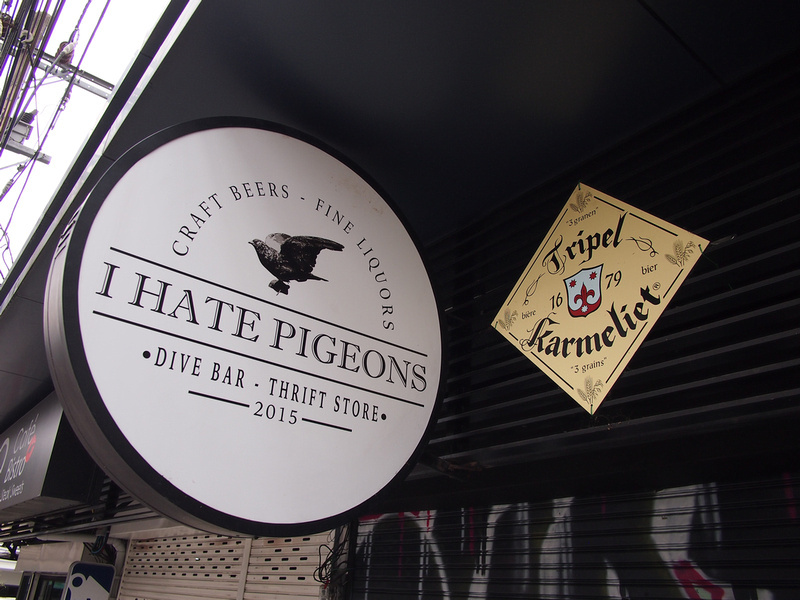 In a sign that Soi Sribamphen might be turning cool, I Hate Pigeons is a modern bar serving craft beer. They describe themselves as a dive bar and thrift store. Hipster bars are often harbingers of an impending urban regeneration, so perhaps this area is going to be the next Ari or Thonglor. 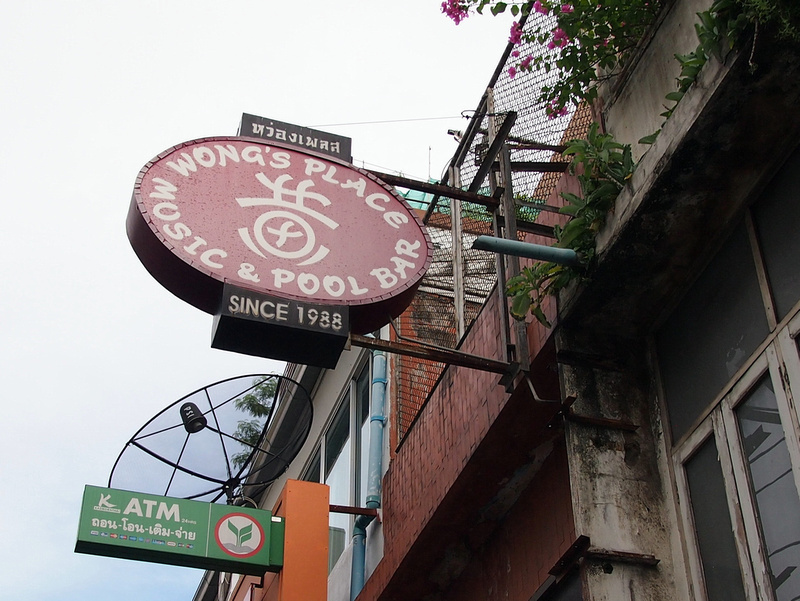 And at the other extreme is an actual dive bar – Wong’s Place. I asked my other man in Bangkok (what can I say, I have men in Bangkok) about this seedy-looking bar that I found, and he gave me a look of foreboding. He had never been but he knew about the legend. The sign says “Since 1988”, and the exterior doen’t look like it’s changed since. I couldn’t tell if it was permanently closed or just looked that way. I did see someone in there cleaning during the day so I assume it opens after my bedtime. The last review was in 2015, though it looks like the sort of place where people don’t go to check in online. Indeed, the exterior looks like a worm hole to the eighties, and phone coverage probably black outs when you step inside. The most active place I saw on Soi Sribamphen was Maderla. Every night I went by it was packed with seasoned backpackers and expats who look like they have lived here for years. That sounds presumptuous but if you know Bangkok, you know that look. 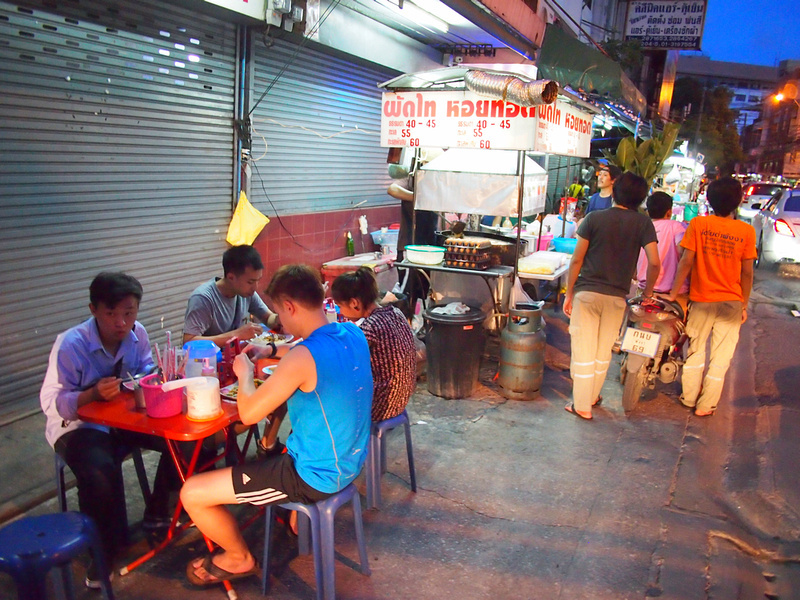 On my nights that I ate in the neighbourhood I loitered around the street food carts at the other end of Soi Sribamphen, opposite the 7/11. There is a Pad Thai and Oyster Omelette cart, a variety of noodle soups, and a legendary Som Tam lady, serving flaming hot green papaya salad for 35 baht ($1 USD). For a true backpacker experience, Moon Guesthouse has the usual travellers favourites. 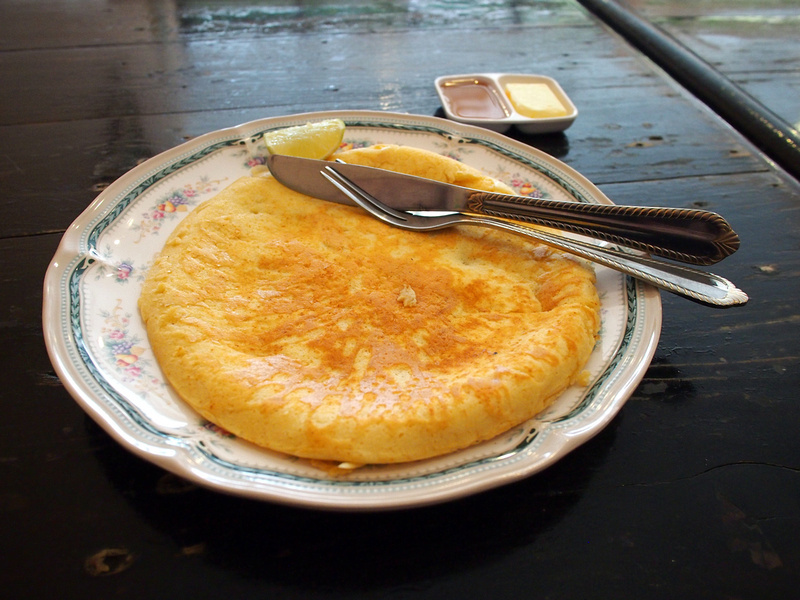 I had a banana pancake to pay homage to this old backpacker neighbourhood. Should you stay in the Soi Ngam Dupli/Soi Si Bamphen area? If you are a backpacker and new to Bangkok I would still go to Khao San Road. There is nothing else in the world like it, and you would be missing out on the action if you stayed in this sleepy nook. If you have done the Khao San Road thing and it’s not your thing, but you want to stay in central Bangkok at a budget price, then this is the place to go. Most travellers I saw here seemed to be middle-aged European backpackers, who have probably been coming here since the eighties and prefer it over KSR. I also read that some of the guesthouses are favoured by junkies, and at $5 a night I’m not surprised. If you are looking to write the next great “Down and out in Bangkok” novel then maybe you will find inspiration here. Just saying. I spent a total of two weeks in this area. Being near the Lumphini MRT station made it convenient for me to go to meetings at Asok on Sukhumvit road (three stops away) and Silom Road is one stop away in the other direction. Walking to Silom Road is about 25 minutes, and you are close to Lumphini Park, one of the great urban parks of the world. Another reason you might want to stay here is if you have some reason to make multiple visits to your embassy. The Sathorn area is home to many embassies, including Australia, Germany, Canada, and the U.S is nearby on Wireless Road. 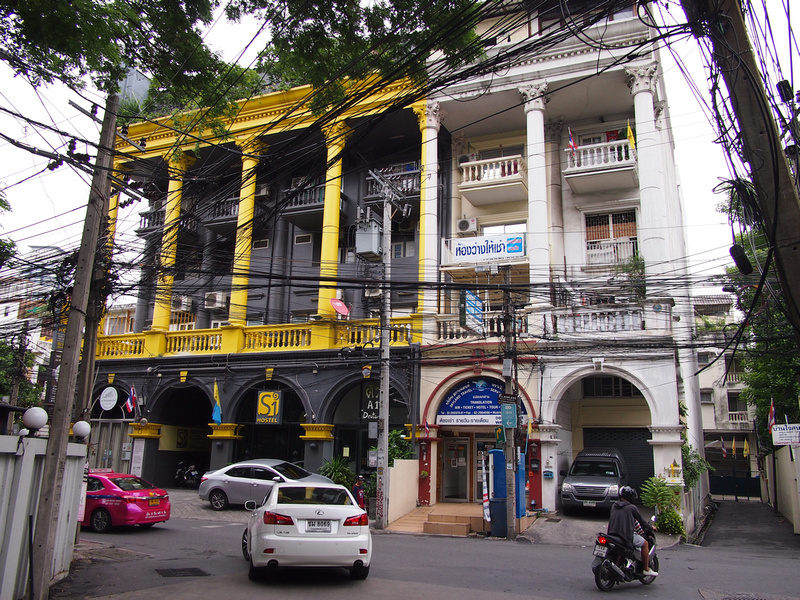 If you have no desire to stay in any kind of backpacker area then check out where else to stay in Bangkok. The easiest way to get here is by the MRT (Blue Line) at Lumphini Station. 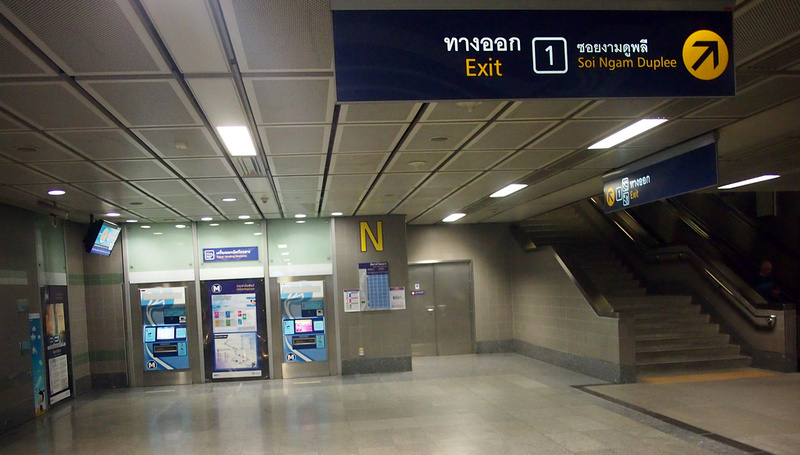 Exit 1 is marked Soi Ngam Dupli so exit there and walk down Rama IV (a major road) and turn right at Soi Ngam Dupli. It takes about 10 minutes to walk from the station. Yes, Wongs Place is open later in the day. It generally fills once everywhere else closes and will continue until into the early hours with no cut off time. Walls are smothered in now ageing photos of good times past with expats and backpackers. Inexpensive and basic drinks selection, a great place to talk to strangers into the wee small hours but avoid the toilets at all costs. thanks for the info about Wong’s! It seems the establishment has a cult following among Bangkokian’s so glad to know such places still exist. Thanks James, we’ve stayed in several Bangkok neighbourhoods so it’s always good to learn of a new/old one to try next time we are in the city. 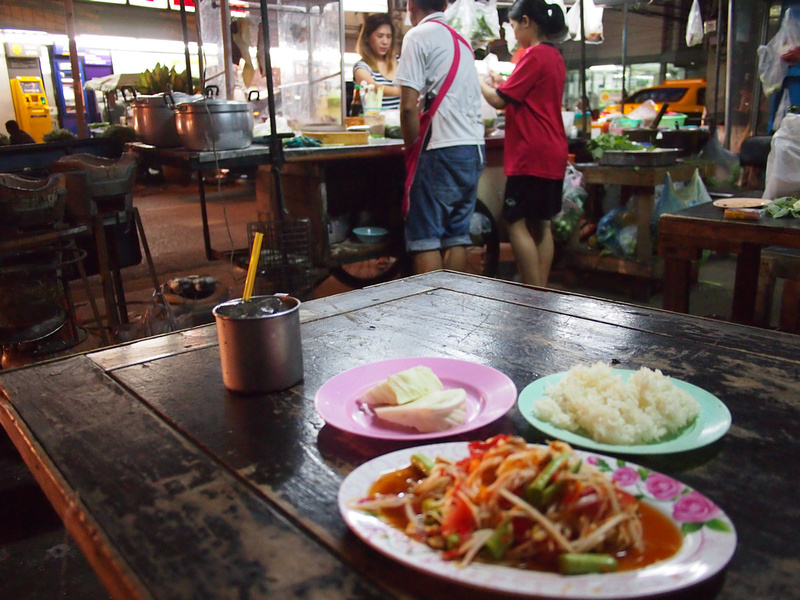 There are lots of small inexpensive and tasty places to eat on Sri Bumphren. A bakery and coffee shop too. I’ve stayed at the Malaysia Hotel. A lot has been done to update the place. I have also stayed at the S-1 too. (S-1 Hostel doesn’t have an elevator.) If you walk up to the roof there is a nice little terrace to chill out/ Also the S-1 has free computers and wifi. Hi Edgar, good to know about the terrace! Ah, the Malaysia, on the trail in the early 70s it was the first place you could really afford that had air-con and sheets and room service. The travellers’ notice board was a thing to behold. Charles Sobraj had the Malaysia on his radar looking for backpackers to kill in the mid 70s. Hi Paul, the noticeboard must have been an amazing read. 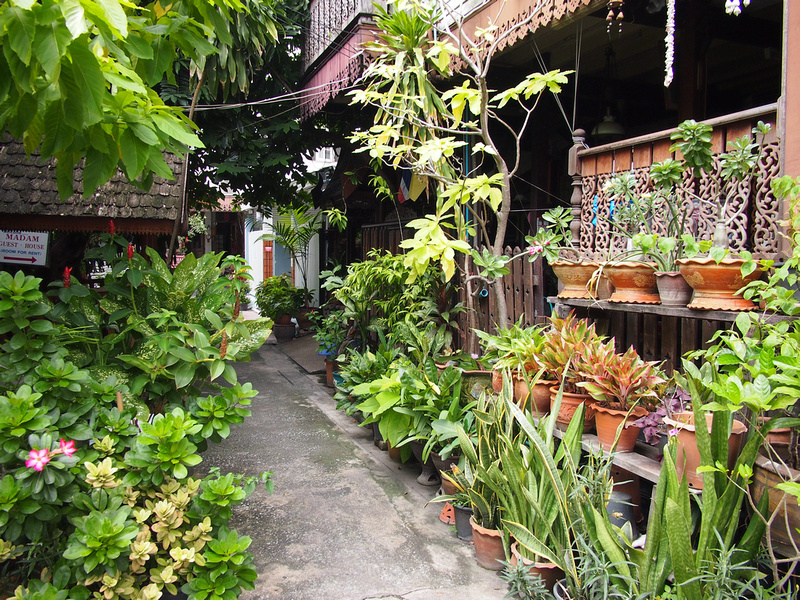 I’ve had a few comments by travellers who were there in 70’s now – I would have loved to have seen Bangkok in those days. Remember staying at Freddie’s guest house here in 82. I clearly remember coming back one night to an American Vietnam Vet having a psychotic episode relating to his time in Vietnam . He was waving a very large knife around babbling incoherently. Freddie took it in his stride and calmed him down enough to put the knife away. Very Heart of Darkness. Having lived in the area for 10 months in 2001-2, this really brought back some memories. Missed a mention of the infamous Boston Inn though – which by that time was known as the worst GH in maybe all of BKK, with a Lonely Planet description to match. Regarding the area’s gay reputation, here’s a little background info. It probably started with ‘money boys’ drifting towards the coffee shop of the Hotel Malaysia and attracting gay travelers. Then, in the 1990’s, what used to be the word’s most famous gay sauna, Babylon, was built just around the corner in one of the Sois leading down from Sathorn Road. During the time I knew the area there was at least another gay GH on Ngam Duphli Alley (probably more) as well as a club catering exclusively to Chubbies and their chasers. No real gay (go go) bars though and this kept it different towards the scene on Silom Soi 4. Hi Josh, thanks for the info! I didn’t see the Boston Inn and a search reveals that it closed in 2010. I found a picture online and it looks like a building that was in the process of being demolished when I was there. Sounds like the hipsters are about move in. Good thing you caught the place in its decayed glory before it transforms into something else again! Very cool. I’ve been in Bangkok a half dozen times and never heard of this Soi. It was just Khao San road when I showed up there in 2007. The Malaysia Hotel isn’t antiquated at all. I have been going to Thailand for over 20yrs for three months at a time, starting in the Khai Area then on Suriwongse Road. I then found the Malaysia and I have used it ever since while travelling about. It has a lovely pool ,24hr restaurant and lovely rooms. Babylon Gay sauna is around the corner.so I don’t know where he was looking for a gay scene. Right under his nose. We don’t have to believe everything that these travel writers write about. Hi Desmond, agreed that the Malaysia isn’t antiquated, and I never said it was. I stayed there and everything is immaculately maintained and well run for a building of that age. Most buildings I’ve stayed at that date from the 60’s in Bangkok are left to slowly decay. As for the gay scene my point there that it isn’t obvious that it is a gay neighbourhood like, say, Soho in London. You walk through Soho and you know you are in a gay neighbourhood. Here there is nothing immediately obvious to say that it is. Sorry I wasn’t clear on my point. Anyway, thanks for commenting! Lonely looking part of town, though probably a good spot if you want quiet! Good tips for Bangkok.i’ve been in bangkok 2 times and i missed already too much. Even Seven Eleven makes me happy 🙂 my last visit in bangkok i’ve stayed in Miggy Guesthouse and i was happy cause i was alone. But this time i will go to bangkok with my girlfriend and i was wondering, do you think ibis hotel is also good for couples ? Ohh!!! I want to go there, its look very quite & clean also, but surprised to look at the wires. Is it electric wire?